Prong has been delivering tunes for over three decades, Tommy Victor started with the band around 1986 playing some kind of Crossover and Thrash metal at that time, their debut album "Force Fed" released back in 1988 set them in the underground scene, but it was not until 1991 with their third album "Prove You Wrong" which appeals more to the groove sound of bands like Pantera or Machine Head, in 1994 they were able to reach their pinnacle of their career with the album "Cleansing". 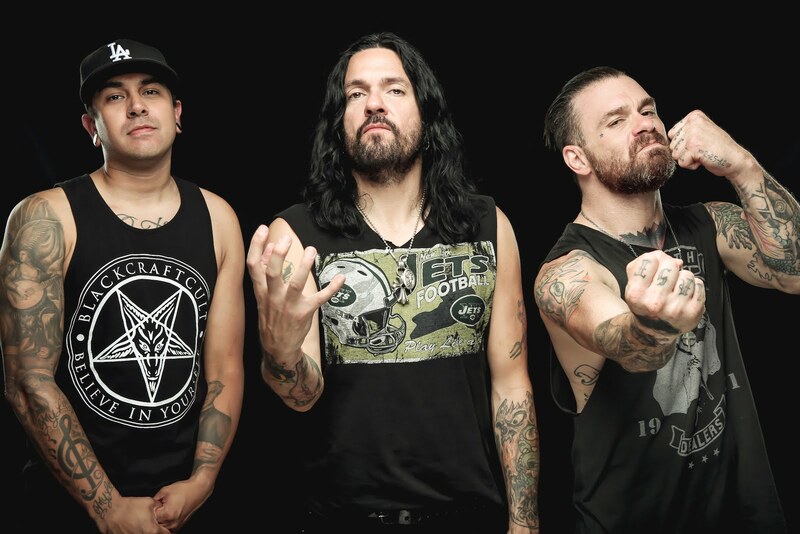 However by 1996 they came out with their album "Rude Awakening" which doesn't capture enough attention, some people blamed them for adding Nu metal elements, later in 1997, they split and took different ways, Tommy Victor joined Danzig and by 2002 the band was reformed and focus in the songwriting for their sixth full length which was released in 2003, Prong was ready with a comeback album entitled "Scorpio Rising" but again, it wasn't what everyone were expected, but persistence leads to succeed, in 2007 their album "Power of the Damager" put them back in the right track, with a relentless thrash metal and giving high hopes to their diminished fanbase, by 2012 "Carved Into Stone" takes an approach to groove metal and it blends with some thrashier riffage, at some point sounds to me like Anthrax and their "Persistence of Time" album, during 2014 they released their tenth album "Ruining Lives" which resembles the era of "Beg to Differ" and "Prove You Wrong", seems to be very tempting for the old followers, with tracks like "The Barriers", "Remove, Separate Self" or even "The Book Of Change" it's almost impossible to let it go. 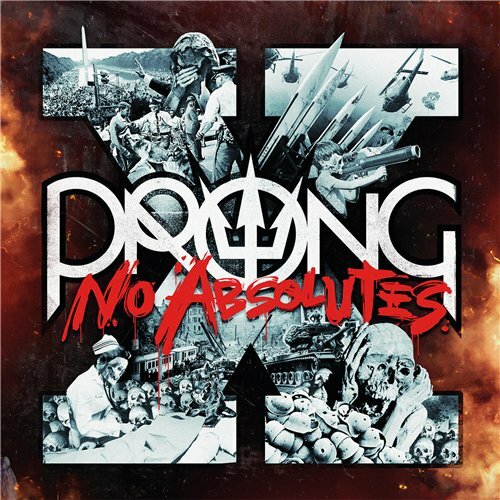 One of the Prong constant problems has been to pull up a steady line-up, "X - No Absolutes" count with Tommy Victor in guitars and vocals, bassist Jason Christopher (ex-Sebastian Bach) and drummer Arturo "Art" Cruz (Winds of Plague), So! let's get into business and review Prongs new album "X - No Absolutes" which turns to be a very divisive album in my opinion "Ultimate Authority" and "Sense of Ease" both built with fast grooving riffage and thrash industrial elements which became as the consistent part in their latest releases, including catchy tracks, "Without Words" and "Cut And Dry" with abundant melodies and more mainstream as we notice in their previous record, "No Absolutes" and "Do Nothing" for a single minute, I got bother, because I thought that somehow my player began playing Linkin Park, but no! Even so I had to check the track list to believe what I was listening and I got speechless, "Belief System" cause divergence because its grounding in the middle of nothing far from their roots and far to be a deathcore tune, "Ice Runs Through My Veins" structured with an electro-pop vibe and mainstream chords, losing their guitar signature riff, the closing track must have been "Worth Pursuing" due to the heavy riffage, solid bass notes and the drums sound very decent and steady. After listening several times "X - No Absolutes", I still striving to go with them, unfortunately they have lots of dynamics, no doubt at their best, but directionless! In my opinion, few tracks save the brightness of the yesteryear, while others venture into a more mainstream culture, I think is up to you, listen and make your own judgment.